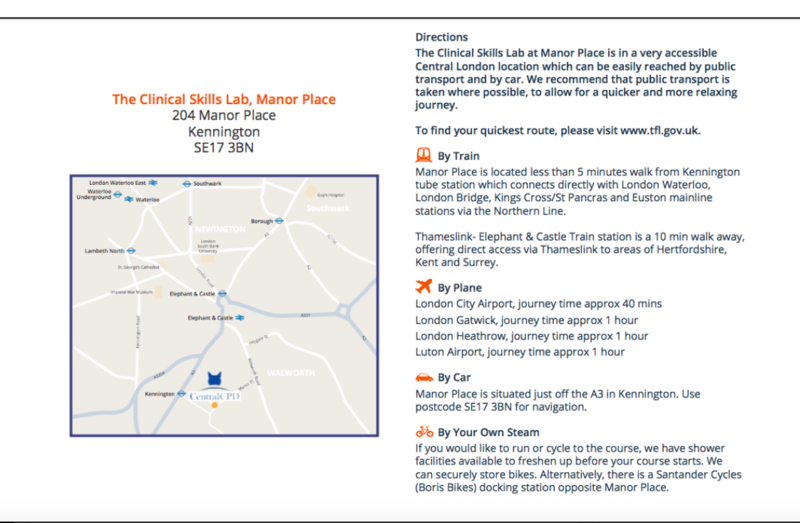 All of our courses are held at our brand new purpose built lecture room and Clinical Skills Lab in an easily accessible location in Central London. You will receive detailed directions to the venue, as well as a reminder of all course information, two weeks before the course date. For accommodation there is a B&B about 5 minutes walk from us, please visit www.kenningtonbandb.com and mention Central CPD at the moment of booking to get 10% off.